Chilean Grape Varieties - Gino Pinto Inc.
Cabernet Sauvignon is known for its deep flavor and aroma. It is full-bodied and intense, sometimes with herbal or fruit flavors. Some flavors that can best describe Cabernet Sauvignon are black cherry, cassis, and raspberry. These flavors are balanced out with tannins and acids. Cabernet Franc shares many of the same phenolic and aroma compounds as Cabernet Sauvignon but with some noticeable differences. Cabernet Franc tends to be more lightly pigmented and produces wines with the same level of intensity and richness. 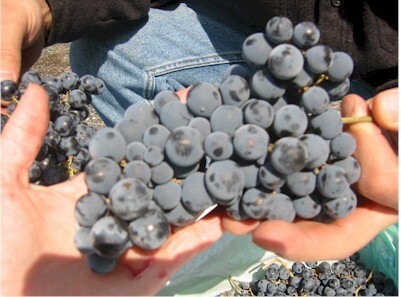 Cabernet Franc tends to have a more pronounced perfume with notes of raspberries, black currants, violets and graphite. It has slightly less tannins than Cabernet Sauvignon and tends to produce a wine with a smoother mouth feel. Carmenere is prized for both its depth of color and, in ripe years, flavor that can range from herbal to gamy and add complexity and interest to blends. Carmenere was imported to South America in the 1850s, along with other Bordeaux varieties, prior to the European outbreak of Phylloxera. One of the traditional “Bordeaux varietals”, Malbec has characteristics that fall somewhere between Cabernet Sauvignon and Merlot. A midseason ripener, it can bring very deep color, ample tannin, and a particular plum-like flavor component to add complexity to blends. Merlot makes beautiful wines that are medium to dark red in color; have a fruity complexity highlighting cherry and black currant flavors. Merlot generally has lower tannins than Cabernet Sauvignon and comes across rounder and a bit sweeter (Merlot usually has higher sugar levels). 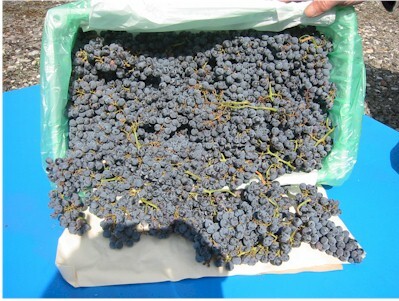 Petite Verdot is a highly concentrated grape, exuding abundant color, structure, and flavor. The Petite Verdot flavor profile often includes dense, dark fruit, to the tune of blackberry, black cherry and black plum. Food parings to consider are rich cuts of red meat, well-aged cheese (like Stilton) or wild game. The name is derived from the French words for “pine” and “black” alluding to the varietals’ tightly clustered dark purple pine cone-shaped bunches of fruit. Originally from France where it is used in all of the great red Burgundies this grape produces a wine that is clear, brilliant, and medium to deep red in color. It is rich, velvety, and full of flavors such as cherries, raspberries, and strawberries. Syrah is the only grape used to make the famous Rhône wines of Côte Rotie and Hermitage, but also forms the backbone of most Rhône blends, including Chateauneuf du Pape. Syrah forms intense wines with deep violet, nearly black color, chewy texture and richness, and often-alcoholic strength, with aromas that tend to be more spicy than fruity. Chardonnay flavors have been described as citrus and melon. Chardonnay is a versatile grape producing a soft, fruity wine without oak aging and aromas of smoke, vanilla, and caramel with barrel aging. Pinot Grigio also known as Pinot Gris is thought to be a mutant clone of Pinot Noir. Pinot Grigio usually has grayish-blue fruit but can also have a brownish pink, black, or even white appearance. The grapes grow in pinecone shaped clusters and wines produced from these grapes vary in color from light shades of pink to copper to a deep golden yellow. The grape grows best in cool climates, and matures relatively early with high sugar levels. This can lead to either a sweeter wine, or, if fermented to dryness, a wine high in alcohol. The Sauvignon Blanc grape originated in the Bordeaux region of France and has a green skin. 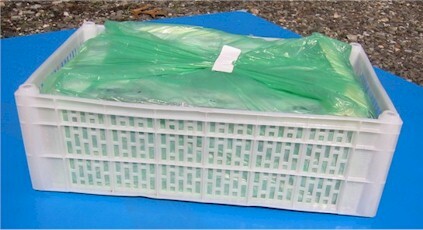 The grape can produce crisp, dry, and refreshing white varietal wines. Sauvignon blanc, when slightly chilled, pairs well with fish or cheese. It is also known as one of the few wines that can pair well with sushi. The best Viognier wines are known for their powerful fruit and floral aromas. Viognier typically produces medium bodied wines with relatively high acid content. This wine is best drunk young since aging allows the fruit and aromatic strength of Viognier to fade away.